I am not a Cleveland Browns fan, never have been nor will I ever be one, since 1964 when they whipped my then BALTIMORE COLTS team 27-0. I have had no love for Cleveland although I respected the Browns for supporting Ernie Davis and his family when he was stricken with leukemia. I also respected the greatness of Jim Brown and of course Leroy Kelly, my fellow Alma Mater alumnus from Morgan State but the Cleveland Browns, no! Hey, we even took the team from the city but they became the BALTIMORE RAVENS. 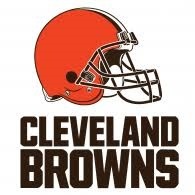 So they were no longer the CLEVELAND BROWNS but the recent money moves of the team have been quite impressive. So impressive that the team has moved from pretenders to absolute contenders for the Super Bowl over the next 5 years. They went from 1 win to 7 wins this year. With similar results, the Browns could move from 7 wins to 12-13 wins in 2019. That is championship territory folks. I am not on the Browns bandwagon but John Dorsey has changed the culture of a team that was impressive defensively last year but now could be truly impressive next season. How could they not be impressive with Baker Mayfield, an two possible elite running backs Nick Chubb and Kareem Hunt along with a group of top-notch pass catchers Odell Beckham, his college pass partner Jarvis Landry, and a slot receiver Antonio Calloway, and finally an up and coming tight end David Njoku? No matter how you hash out this situation barring major injuries the sun will shine brightly in Cleveland next season. All because the front office changes the direction of the team. Being a BALTIMORE RAVENS fan next season could be tough but we will be competitive and face up to the challenge the CLEVELAND BROWNS present. So it isn’t a bandwagon call when you acknowledge a team for making “boss player transaction moves”. I surely didn't want to call out positive platitudes for the Browns but damn just how did they pull off these moves? Thought just crossed my mind regarding Morgan State University final home game coming up this coming Saturday. Delaware State Hornets are coming to Earl Banks Field on a 2 game winning streak. The Hornets have defeated North Carolina Central University's Eagles and the Savannah State University Tigers on successive weekends rather convincingly. 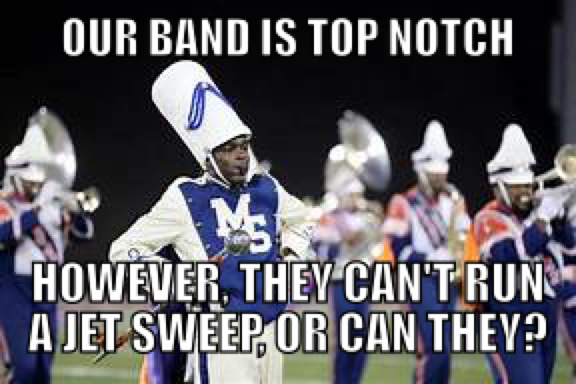 While Morgan State University is coming to the Senior Day Game on Saturday on a three-game losing streak. Although it looks as if our Morgan State University Bears have found a potential star in the making with Saturday's performance by redshirt freshman quarterback, DJ Golatt, from Riverdale Baptist HS in Largo, Maryland who threw for over 250 yards in Saturday's loss to Bethune Cookman. The challenge for the Bears this coming Saturday will be facing a stout Hornet's defense that has only allowed 21 points during its previous two games. This will be an opportunity for the Morgan Bears to climb out of the MEAC cellar and show some on the field promise heading into the final game in two weeks as they face the Norfolk State University Spartans on that team's Senior Day. This season has been a difficult one for Head Coach Ernest T. Jones and his staff. The one highlight was the winning field goal by Alex Raya at the final gun in Greensboro, NC as "The Bears" ended the 15-game winning streak of the North Carolina A&T Aggies. Other than that game the season has been a reenactment of the 5 previous seasons with a loss after a loss followed by another loss sprinkled in with a couple of wins. 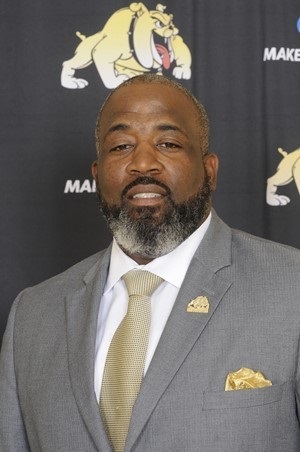 The current cycle of losing football games has got to end because the Morgan State University Boosters lead by James Msu Wills are demanding a return to excellence for our football team. If this staff cannot answer the call the Bear Boosters will demand a change in leadership. They will demand that the university's leadership hire a captain who fully understands the historical prominence of Morgan State University Football. The Bear Booster will accept nothing less than athletic excellence from our current and future players. The legacy of Morgan State University demands that we recover our greatness. We will not accept winning just a homecoming game in a season. 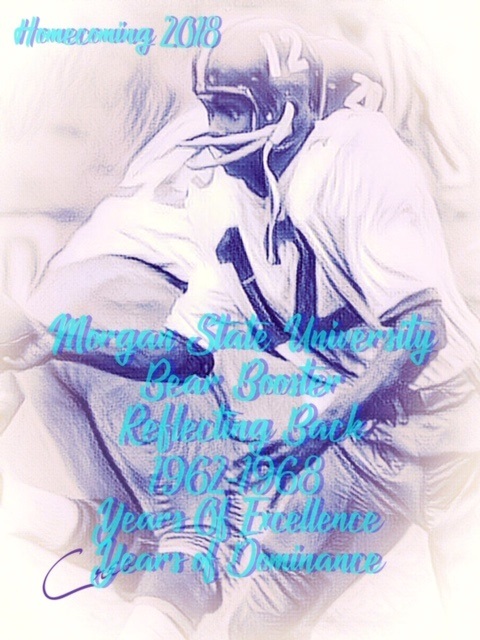 Our Morgan State University students, alumni, and friends want to see new trophies added to the championship trophies of yesteryears. We will deserve nothing less. Go Bears!